Founded in 1962, the Armenian School teaches language (Western Armenian), history, culture, theater, dance and music through a variety of methods, thus creating an opportunity for children and youth to learn, socialize and form life-long friendships on Friday nights in a safe environment, with the instruction by experienced and dedicated volunteer teachers. 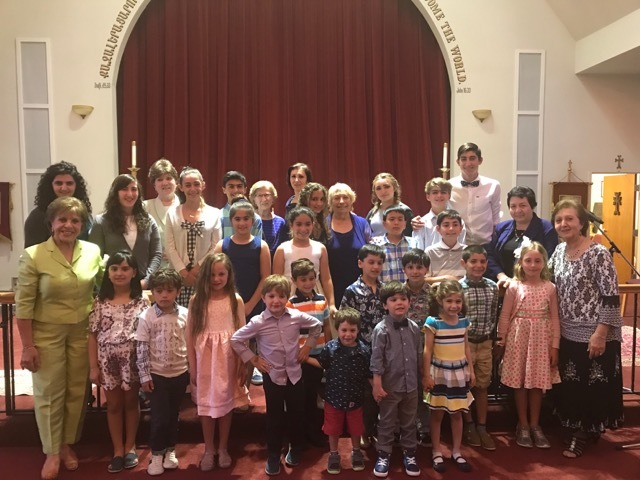 In 2012, on the occasion of the 50th Anniversary of the school, it was renamed by the Western Diocese and St. Andrew Armenian Church to the Anahid Nalvarian Armenian School, after the founder who has dedicated her life to the school since its establishment. Mesrobian Armenian has been around for thousands of years, how about we keep it for another couple thousand years!